Lacaune sheep are the most numerous sheep breed in France. They have been selected in France for increased milk production under a sophisticated selection program incorporating artificial insemination, milk recording, and progeny testing of sires for longer than any other dairy sheep breed in the world. Annual genetic improvement for milk yield in the French Lacaune is estimated at 2.4% or 5.7 kg (12.5 lbs). 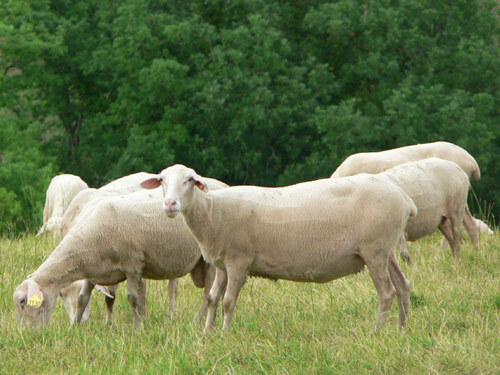 Lacaune ewes produce milk with higher total solids than the East Friesians, but in slightly less volume.The sheep of the Lacaune breed produce the milk which is responsible for the famous Roquefort cheese.